After an enforced break of 12 years, South America -- left relatively unscathed by the War -- was chosen to host the 1950 event, with Brazil welcoming the continent's first tournament since the inaugural one in 1930 in Uruguay. It wasn't a success. Humiliation came in the form of an early exit after a shock 1-0 defeat by the United States. Albino Cardosa Friaca put Brazil ahead two minutes after half-time, but goals by Alcides Ghiggia and top scorer Juan Schiaffino maintained Uruguay's unbeaten record and crowned them world champions for the second time. He could play in any forward position but was best at outside-left or in the striker's role. In 1950 he scored the equaliser that made it 1-1 in the deciding match against Brazil and put Uruguay back into the match with a chance when the odds were in favour of the host country. Ghiggia scored Uruguay's winner 11 minutes from the end for an unexpected win. Schiaffino later said: "Brazil's football was brilliant, really worth watching, but we did other things. We ran ourselves off our feet, we marked, we fought." Shone again in the 1954 World Cup where Scotland's Tommy Docherty, on the wrong end of a seven-goal rout, rated him higher than Ferenc Puskas. But it was Hungary, without the injured Puskas, who knocked out Uruguay in the semi-finals. With Ademir and Zizinho, formed what many considered the finest inside-trio Brazil have ever had. When a knee injury brought his career to an end in the 1960s he had played for many of Brazil's best clubs but his international career ended with the 1950 World Cup. - For the first time since 1930 four qualifying groups were used instead of knockout stages. - The four British Football Associations had rejoined FIFA and were eligible to enter, but only England made the trip. 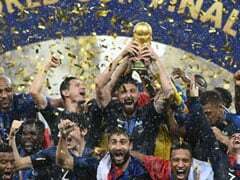 - It was England's first appearance in the World Cup and they were among the favourites with Brazil and Italy, the holders. - The four group winners had to contest a series of six matches. 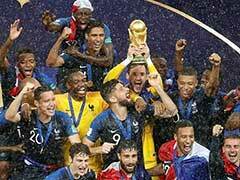 So, farcically, there was no official World Cup final as such. Brazil v Uruguay was the deciding match in the final pool. - England won their first ever World Cup tie 2-0 v Chile in Group Two. Stan Mortensen scored the first goal, Wilf Mannion the other. - Their next game was against rank outsiders USA in Belo Horizonte. England decided to rest the great Stanley Matthews, but still had the likes of Tom Finney, Billy Wright and Stan Mortensen in the side. But it was a Haitian-born centre-forward named Larry Gaetjens who made headlines by scoring the winning goal. It was a sensational result that shook the world. 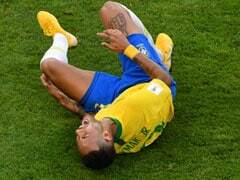 - In the final pool, Brazil thrashed Sweden 7-1 and Spain 6-1 and needed only a draw with Uruguay in their last game to be world champions. The shock 2-1 defeat meant Uruguay collected the cup, now named the Jules Rimet trophy in honour of the event's creator. - Overall attendance figures for all 22 games was 1.337 million, the first time over one million spectators had been recorded at a major tournament. 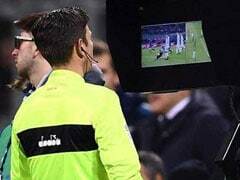 - This was the first World Cup finals in which no players were sent off.